I am really starting to LOVE Bible History fiction books because of how much I learn from them and how much closer I feel to God after reading them! This book from Contreras may be my favorite Biblical Fiction book that I have read so far! This book was so well researched and so accurate both in history and Biblical elements. I learned so much from this book about the Exodus and Moses and it made me want to read the account from the Bible all over again to really remember how amazing it really was! This book made me understand the historical times, understand how AMAZING God is and was for Moses and the Jews and makes me bow at the feet of God humbled and Amazed at everything he has done! She made the story COME ALIVE for me and put me right there to experience it all - the pain of the Jews, the stress and nervousness of Moses, the anger and stubbornness of the Pharoah and so much more! This book was written so well and drew me into the story while also staying true to facts of history and the Bible. 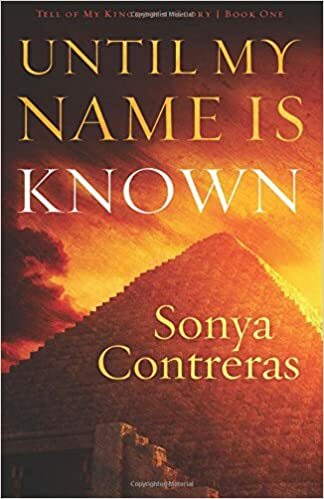 Sonya Contreras is definitely an amazing author and I can't wait to read more in this series! Thank you for your kind words. I'm glad the book did what it was suppose to do...go back to the Word and know Him!